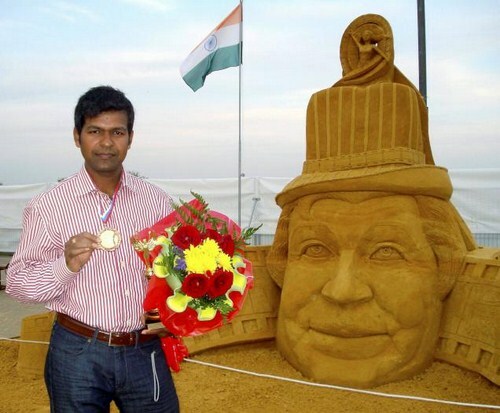 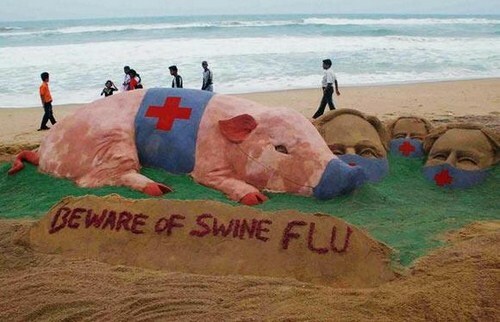 Sudarsan Pattnaik who was born on 15 April 1977 in Puri, nearly 60 km from Bhubaneswar the capital city of Orissa. 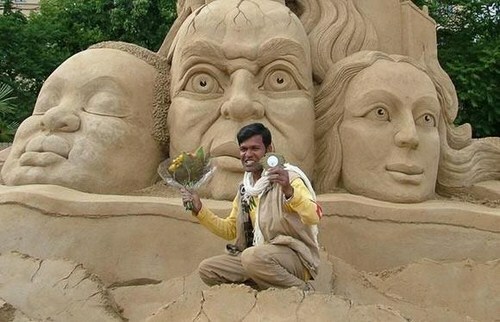 He is the inventor of sand art in India and has learned this form of art by himself without any guidance but only by practice and creative ideas. 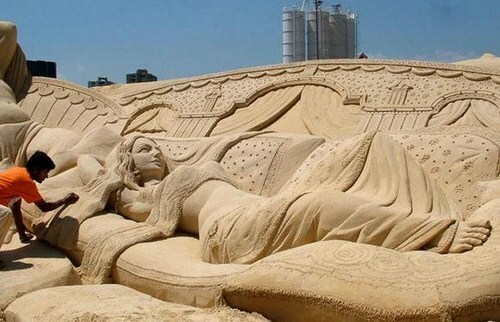 He started sculpting images on sand since the age of seven. 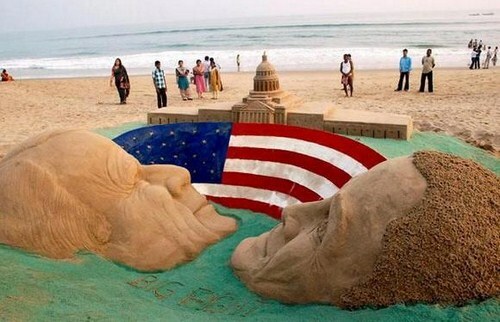 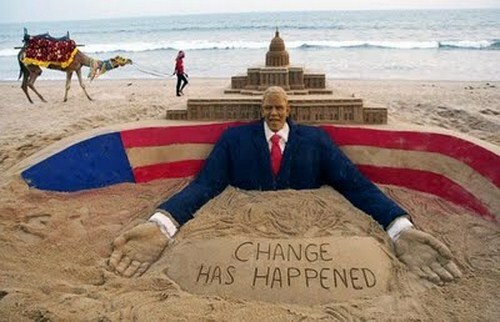 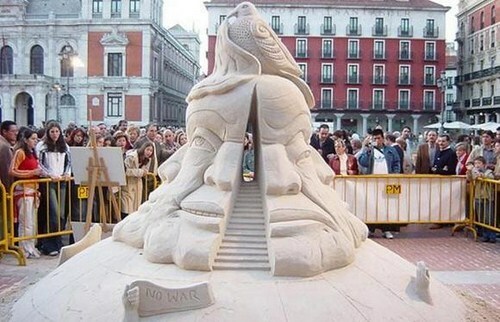 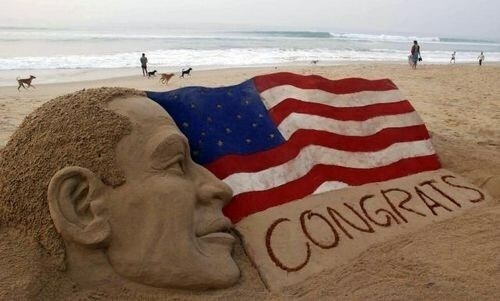 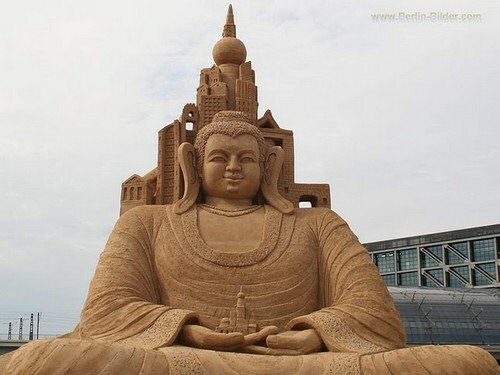 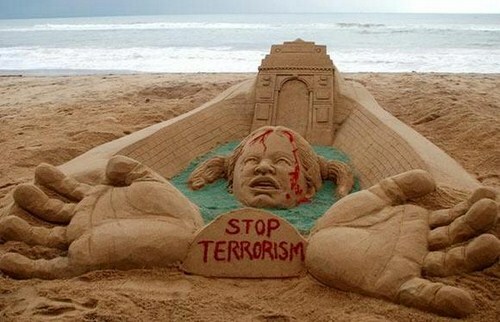 Till now he has designed hundreds of sand sculpture. 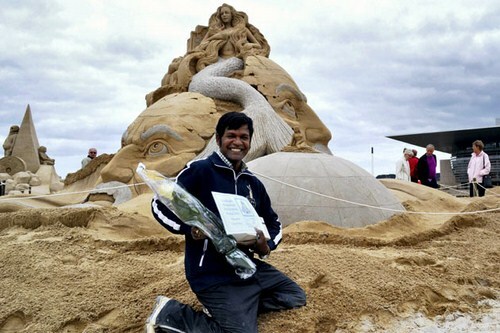 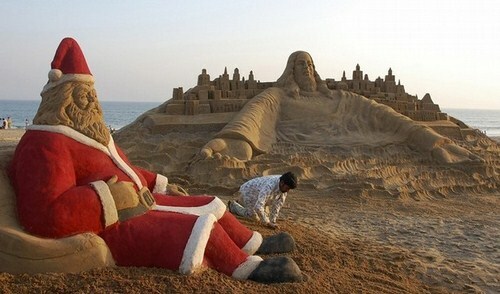 He has won many national and international awards for his creative designs and has recorded his name in the World records for sculpting the tallest Santa Claus and most Santa Claus image built on sand. 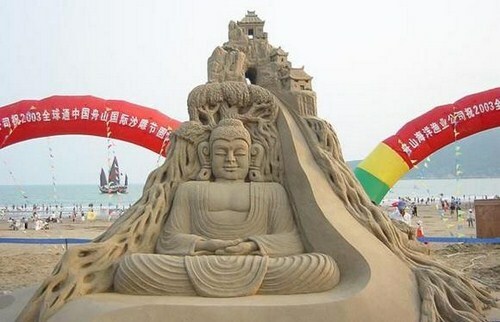 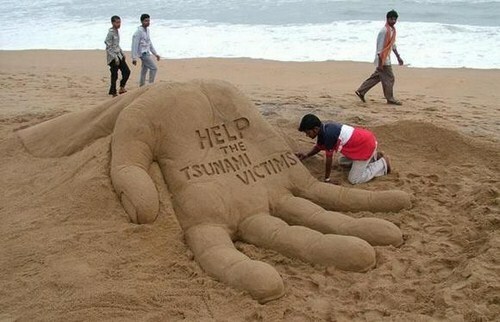 As an impoverished child, Sudarsan Pattnaik would go to his local beach and build sand castles. 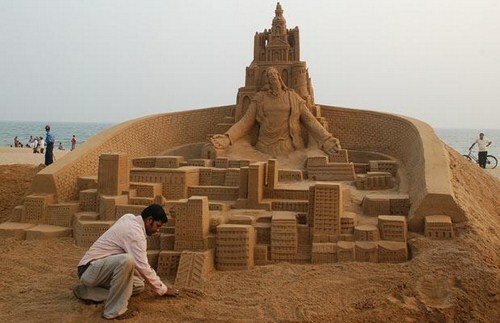 Little did the youngster from Orissa, India, realize his hobby would make him famous and wealthy. 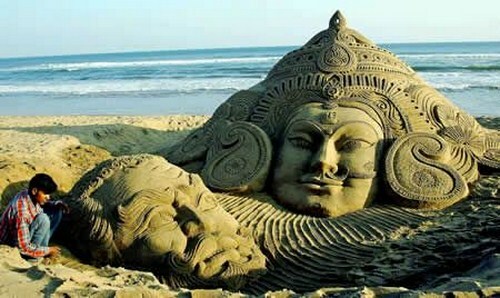 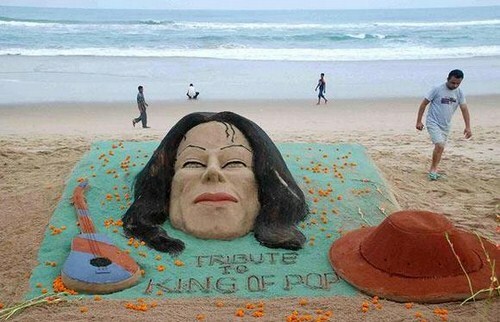 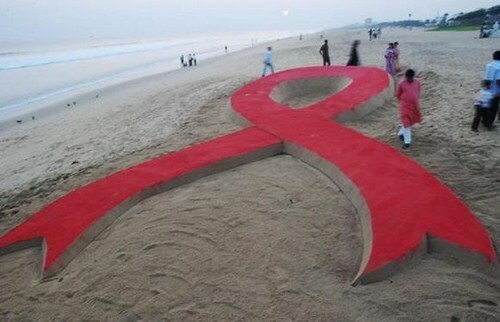 He says that people gather round to watch him create sand sculptures on the beach at Puri. 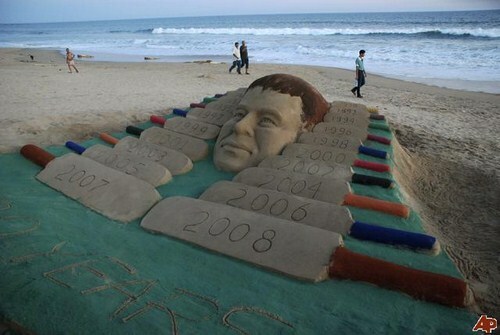 Encouraged by the interest of passers-by, Pattnaik would go to the beach everyday for three hours each in the morning and evening. 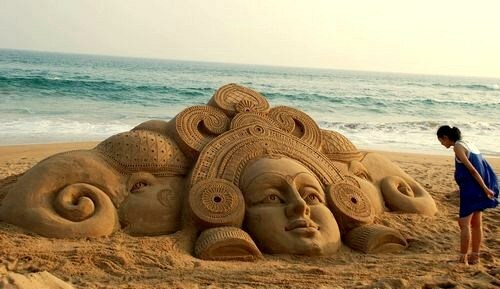 Sudarsan Patnaik’s ultimate objective is to create awareness and enthusiasm among the people and make it popular professional art form among the people for which he is traveling various places in the country and demonstrating this art form by holding work shops and training. 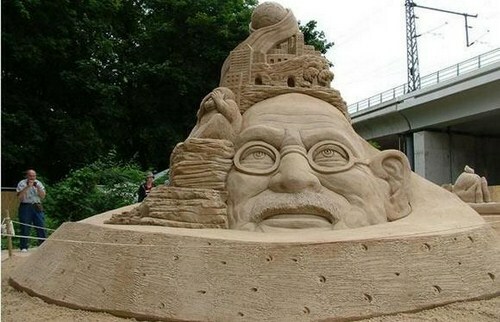 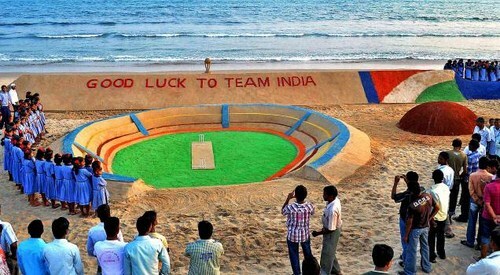 He established "The Golden Sand Art Institute” which is first of its nature in India. 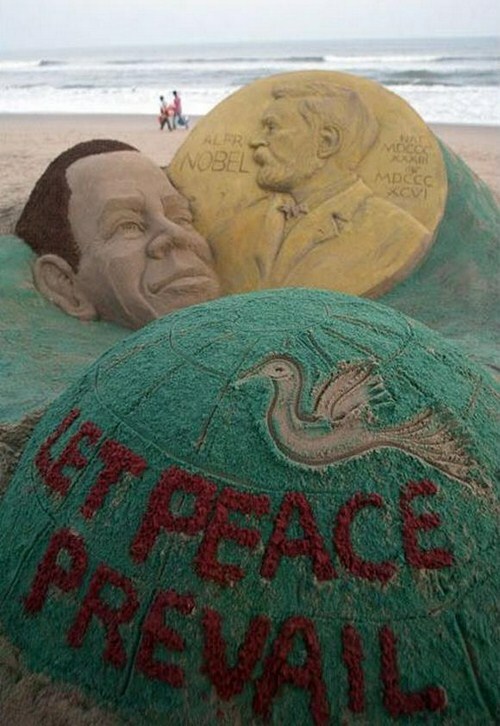 His works are mostly based on current world issues, ranging from climate change to world peace.